Prior to putting their West Knoxville home up for sale, many sellers consider doing some renovating. Unfortunately, not all renovations automatically increase your West Knoxville home’s value. Here are 5 renovation projects that can help increase your West Knoxville home’s value. An updated kitchen can be a major selling point in a West Knoxville home. It can be helpful to update appliances, countertops, light fixtures, and even knobs and drawer handles. Depending on how much money you want to invest, even just a few updates can go a long way. Outdated cabinets can often be spruced up with a quick refinish and some new counter tops. The one thing to remember to keep things simple and classic. Renovations that are too trendy aren’t always wise. Bathrooms are another area that when updated can increase your West Knoxville home’s value. Updating a bathroom vanity, light fixtures, toilet, and flooring can go a long way. Instead of replacing a bathtub, it can also be helpful to just have the tub reglazed. Many buyers look for a backyard that is private and well-maintained. A simple, fresh landscaping job can help upgrade your backyard. It can also be helpful to invest in a sprinkler system to help take care of your outdoor oasis. In addition, re-staining a deck or replacing a deck or patio can go a long way as well. Many people want to be able to enjoy the outdoor space their home has to offer. One renovation project that is helpful to increasing your home’s value is a fresh, neutral paint job. A paint job can go a long way. Pick colors that are neutral enough that any buyer can move straight in without making any major changes. Carpet is another area of a home that can easily be updated or cleaned prior to putting your West Knoxville home on the market. In some cases, a simple deep cleaning can get out day to day stains that can cause carpet to look old and dingy. 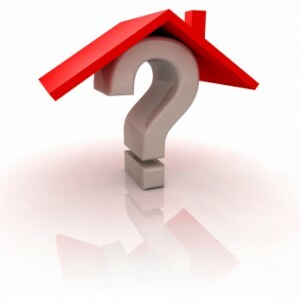 Are you thinking about selling your West Knoxville home? If so, please do not hesitate to give Knoxville Home Team a call. Rick can be contacted at 865-696-1888 or via email at Rick@KnoxvilleHomeTeam.Com. Kati can be contacted at 865-392-5880 or via email at Kati@KnoxvilleHomeTeam.Com. Contact us today for your FREE West Knoxville Home Valuation.